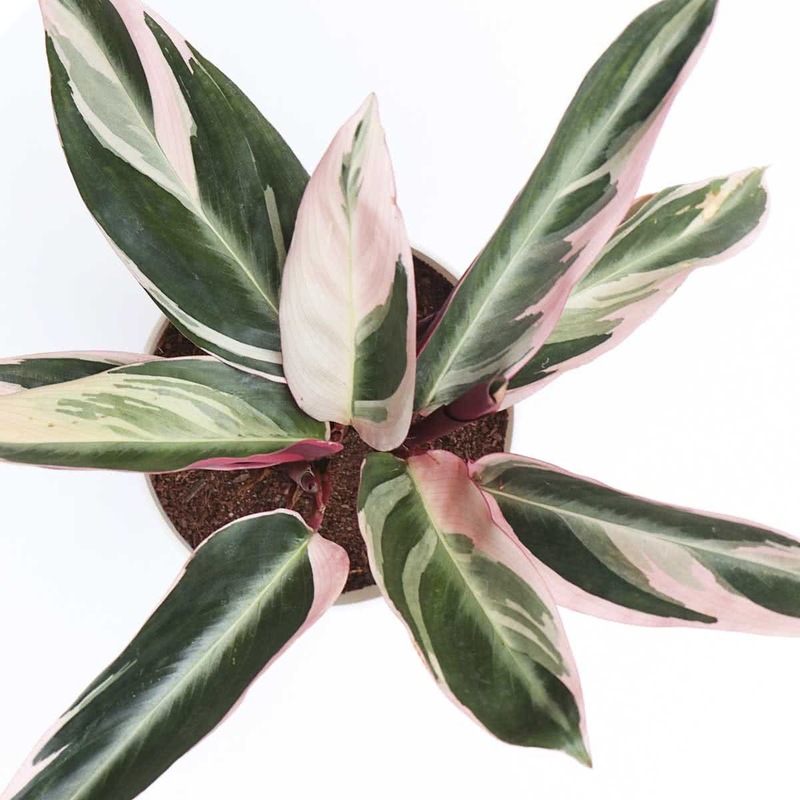 Plant Description: The lovely tricolour plant features leaves with green, white-cream patterns & pink lower side. The plant has creeping rhizome (A thick stem which grows horizontally below or on the soil surface) and produces fanlike sprays of leaves. 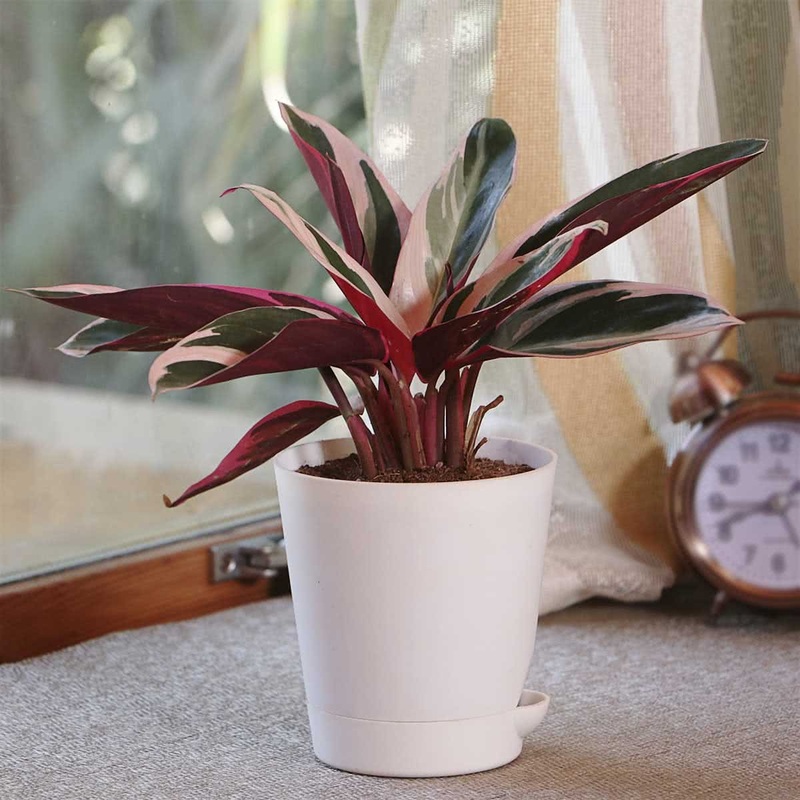 It can be grown in decorative indoor pots, outdoor shady patches of the garden or in corridors and living room corners. 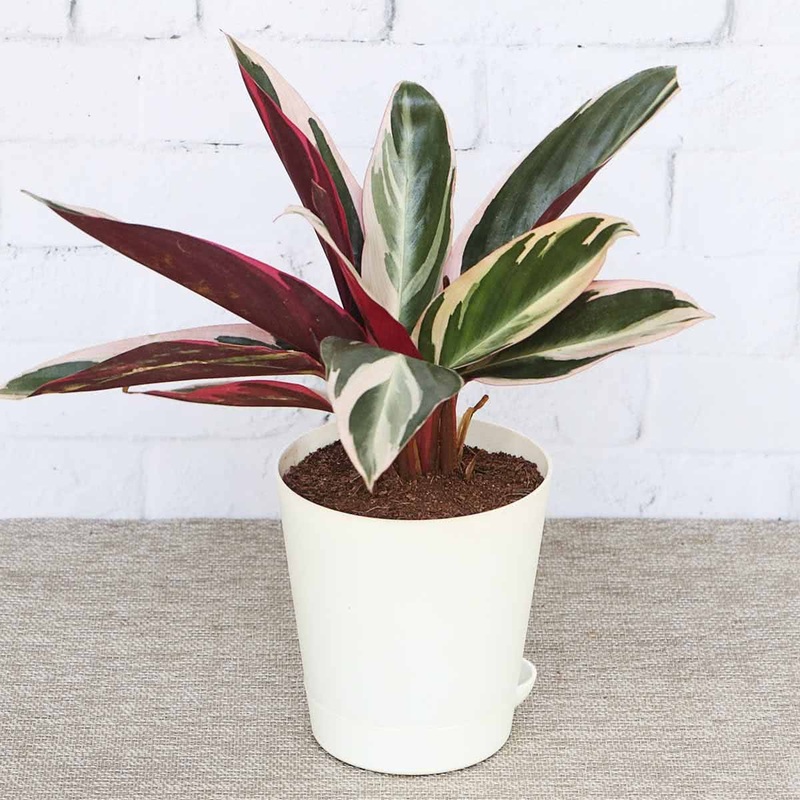 Plant type: Foliage pattern plant. Growth Habit: Perennial, small shrub. Average Landscape Size: Plant it at a distance of 2 x 2 ft as a ground cover. Soil: Well-drained soil rich in organic content. Pot Size: 12 to 14 inch round pot. Potting/Transplanting: Transplant the Tricolour plant saplings in a pot along with root-ball of the original soil. Carefully place the plant in the middle of the container & cover the roots completely with remaining soil. Sunlight: The plant enjoys the medium light. Place the plant in semi-shade. Water: Moderate watering, twice a week. Humidity: Plant needs humidity. Mist your plant with hand sprayer in winters. Pruning: Thin the extra, old and decaying leaves from the bottom. Don't let the leaves overcrowd. Propagation: Plant can be easily propagated by cuttings of the underground rhizome. Wonderful leaves with Green, white cream patterns & pink lower side. A truely Tricolor plant. Fancy indoor pots, outdoor shady patches of garden.